Zulfi Shah Sindhi Comedy Actor. He belonging to Thatta Sindh, his comedy and acting was very popular in Sindh TV.He is most popular Sindhi comedian from Thatta Sindh. He is most popular Comedian Actor of Sindhi Comedy Artist. This Comedian is very famous on Social Media Sites, peoples like his Sindhi Comedy Songs well, he performed as local Comedian and released lot of Audio and Video Cassettes. He has performed in various programs on KTN Channel, Sindh TV. Zulfi Shah also performed well in different Sindhi shows in Sindhi functions, Marriage ceremonies and local Mehfils in Thatta and other Sindhi local areas. His Sindhi Comedy Movies are too famous in all over Sindh. This Comedian performed well in Local Mela, Mehfils, and he performed in Marriage Ceremonies and other programs in Sindh. Zulfi Shah entertained the audience with jokes in Sindhi Language. 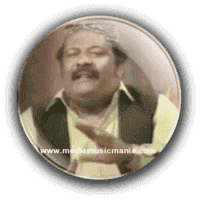 Zulfi Shah is famous Comedy local Artist of Sindh. His local show on Sindh TV called "Khanoo Khand Pati" and also "Khanoo Khaar Baaz" was very popular on Sindh TV. He is still called a master of Sindhi jokes. His video cassettes are very popular in all over Sindhi and jurisdiction of other district of Sindh. Zulfi Shah worked in Sindhi local Drama and he continued his work hard and he recorded lot of cassettes and Sindhi Comedy Film. I have selected below most popular Sindhi Comedy of Zulfi Shah.